Event Branding is one of our favorite things at Natural Impression Design. Although themes and corporate events might be fun and easier to figure out, Weddings tend to present their own challenged on tie things together. Sometimes keeping it simple is always best when branding weddings. Consistent color schemes or carry a design element throughout the wedding like today's featured wedding for Andrea and John were we carried their Mirrored Monogram all the way through the entire event! After being contacted by the couple's wedding planner, Natural Impression Design was tasked with bringing Andrea and John’s personal Wedding vision to life while capturing the modern formal elegance of the lavish Fontainebleau Miami Beach, a sleek and contemporary Iconic Miami Beach Luxury Hotel. 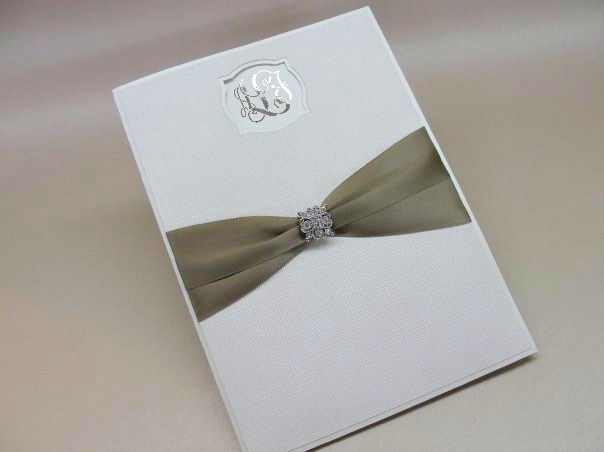 To start the Andrea and John's wedding experience, guests received a fabulous oversized custom made Natural Impression Design Invitation featuring a layered laser cut window and mirror foil monogram with a rhinestone brooch on individually hand pinched double ribbons. For mailing, we created a custom gusseted “Boxelope” that would safely fit and reinforce the dazzling brooch and every printed piece of the ensemble all featuring the Laser Cut Mirror Monogram. Andrea personally selected the Brooch from Natural Impression Design's large selection and applied to the perfectly pinched ribbon. The dazzling brooch is also removable as a gift for the invited guests. The champagne ink was dusted with Natural Impression Design's exclusive Glitter Dust for extra sparkle. A Laser Cut Mirror Monogram was mounted at the top of the seating chart which was nestled on a bed of Illuminated acrylic rocks surrounded by hydrangeas and roses, provided by the florist. Matching Place cards indicated the seating arrangement for the Bride, Groom and those seated at the Head Table and also featured the Mirror laser cut Monogram. Mirror backed Laser Cut Table Numbers with the matching monogram were set at each table. 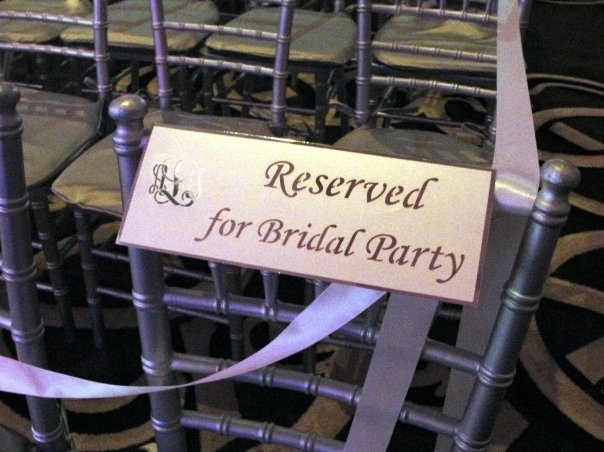 Seating was reserved for the Bridal Party during the ceremony and later at a designated private lounge area during the reception. Laser cut wording and matching crest revealed the Mirror Paper below. p style=”text-align: center;”>Stay connected and see more designs on Facebook and Instagram.